For his army of dedicated fans and audiences around the country, with sell out performances in all major Casinos in Australia & Australian waters. 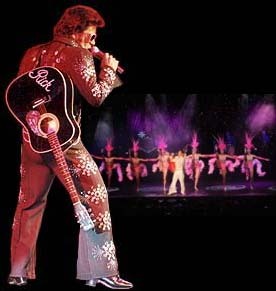 Rick Charles is known as Australia's' No1 showman! After several decades of performances at every major venue in Australia and a string of television appearances, he has the voice and the moves, with a warmth and charm that endears him to be widely acknowledged as one of the most outstanding acts in Australia. Covering all areas from singing, dancing, Master of ceremonies & coordinating everything on the day. Having performed for Kerry Packers 60th Birthday, Anne Peacocks Wedding, the Liberal Parties' 500 Club Ball on a regular basis, is only a sample of Rick's corporate experience! "Rick is a must for your next event"
Guest spots. Floor Shows. Corporate & Private Functions. Theme Nights, Solo Performance Bistro/Lounge Music. Entertainment Plus "Covering Over 5 Decades Of Classic Hits"